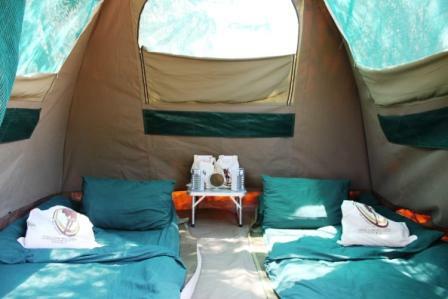 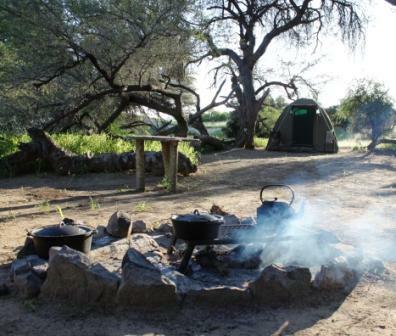 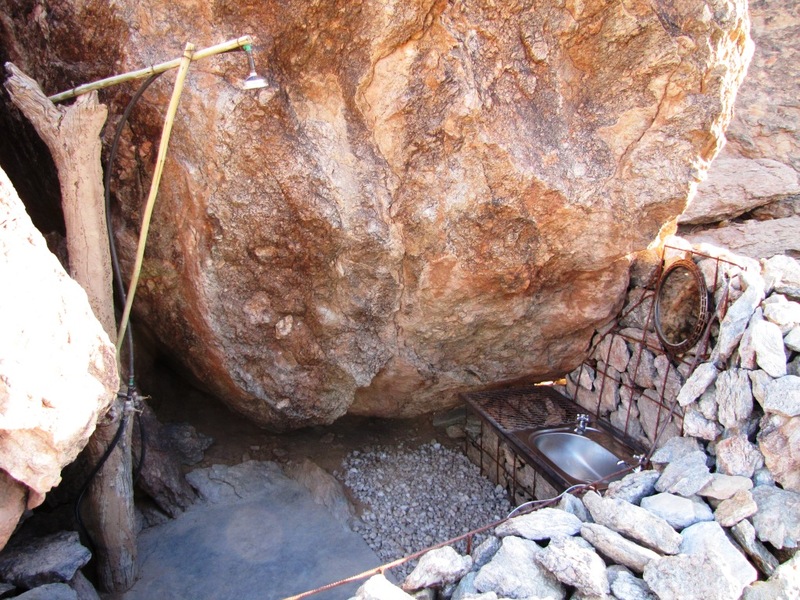 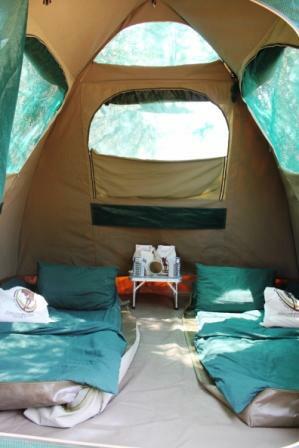 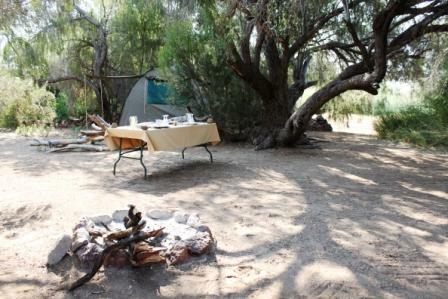 Permanent camp: we use community campsites with permanent facilities like showers and toilets. 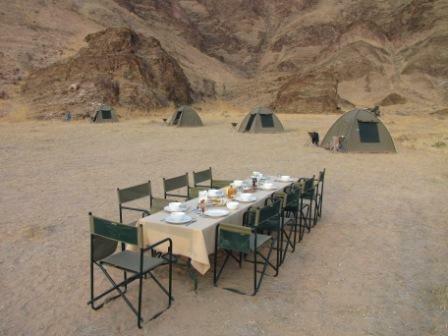 We stay where these facilities are well maintained. 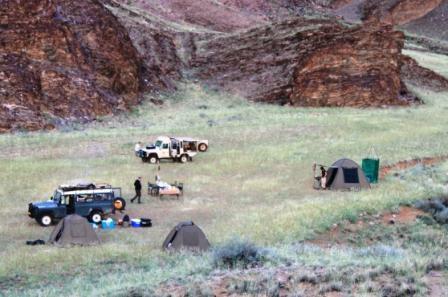 Wild camp : sometimes we overnight in remote places where we set up a camp with portable showers and toilets. 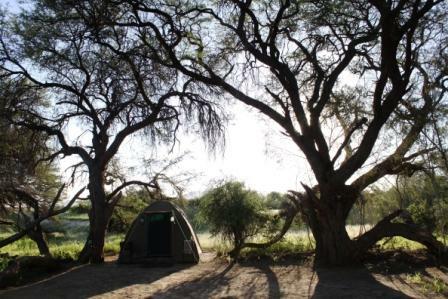 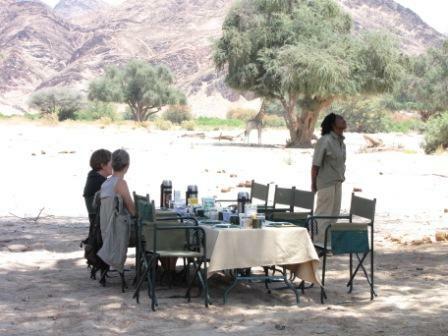 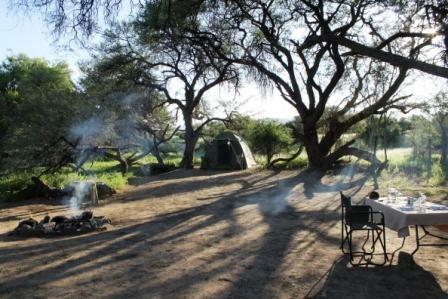 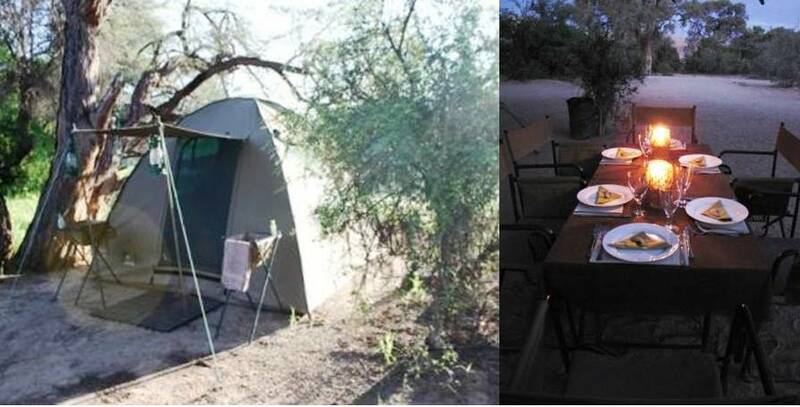 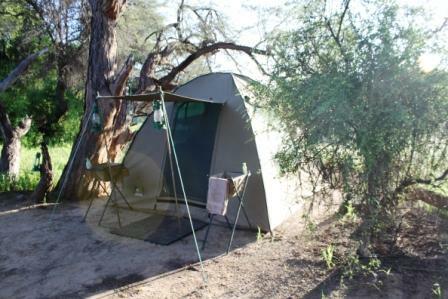 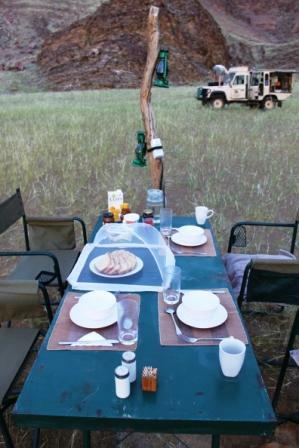 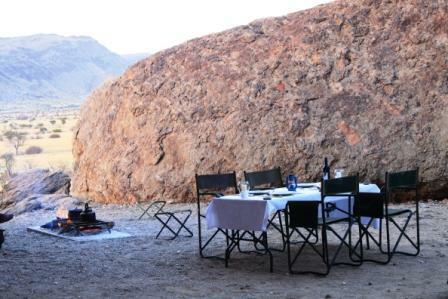 A team of at least 2 persons are in charge of the logistics and camp maintenance, setting up the tents and other equipment, preparing, cooking and serving meals cleaning and, on our longer safaris, providing a laundry service. 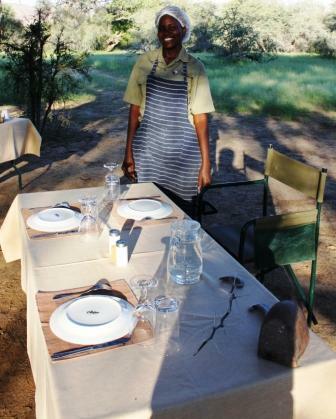 They also act as translators and facilitate interactions with local communities. 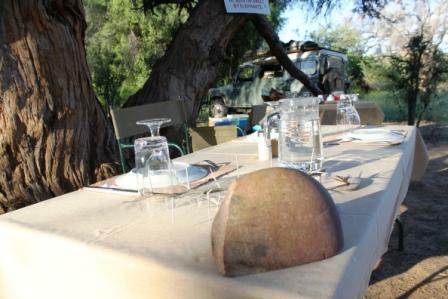 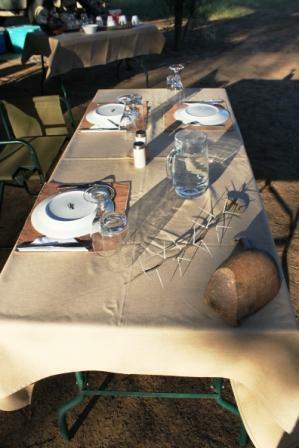 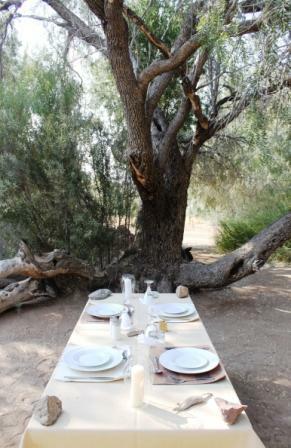 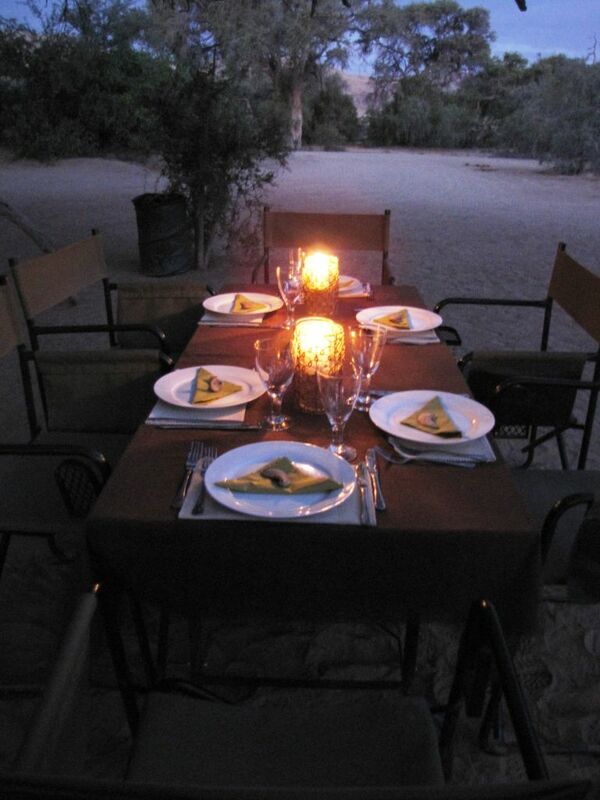 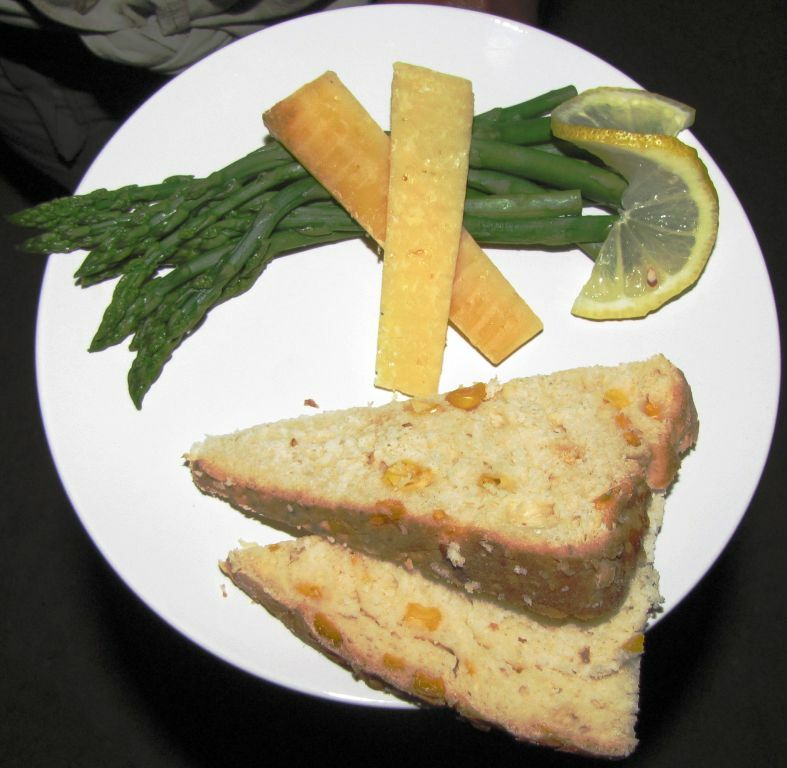 In addition to snacks available throughout the day (dried and fresh fruits, nuts, biltong…) our “bush chef” offers fresh meals prepared on the fire: full l breakfast (cereals, fresh bread, jam, bacon and eggs, omelet’s with fruit juice and coffee/tea), lunches and 3 course dinners with fresh vegetables and meat (e.g. 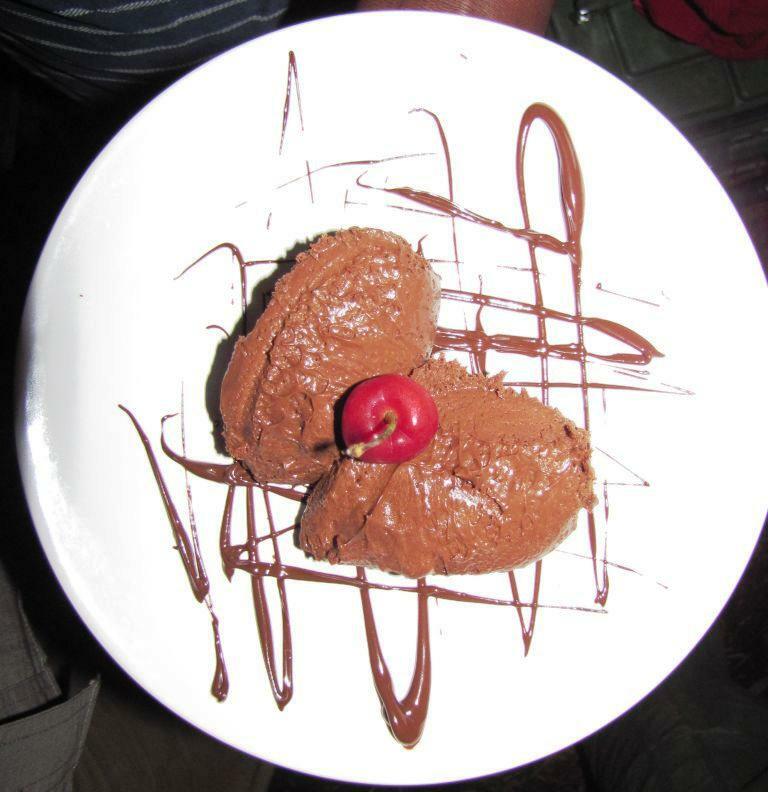 greek salad, chicken curry and chocolate mousse). 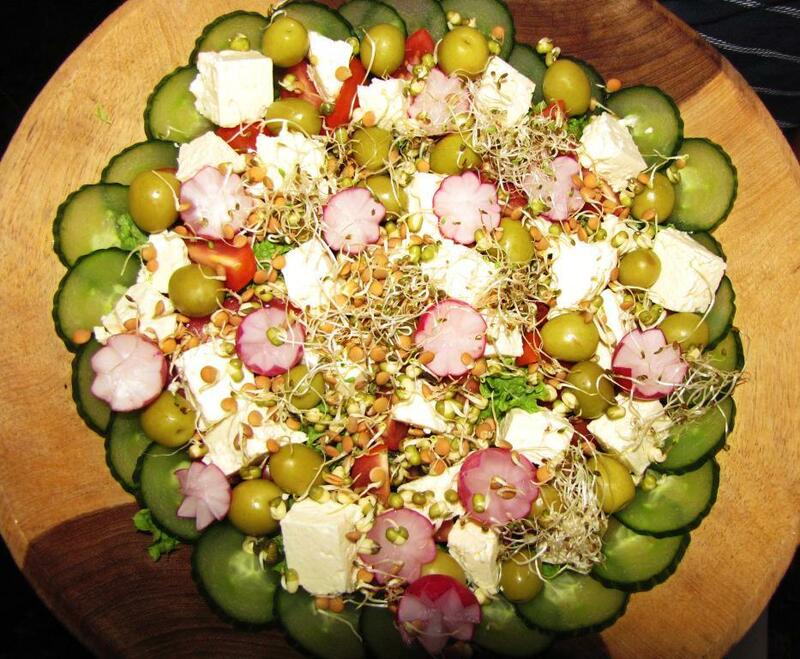 We also cater for vegetarians.